- Kraft Cardstock with my very favorite wood grain embossing folder (retired CTMH) - White Daisy Cardstock for my stamped wreath and the banner - Beary Christmas Paper Packet - Red Glitter paper for my Cricut Cut bow with is from the Artbooking Collection - October's Stamp of the Month stamped in New England Ivy and Cranberry - To finish off my card I used a piece of Rose Gold Foil Tape (retiring soon!) and a few rose gold sequins from the retired Florence Sequins. 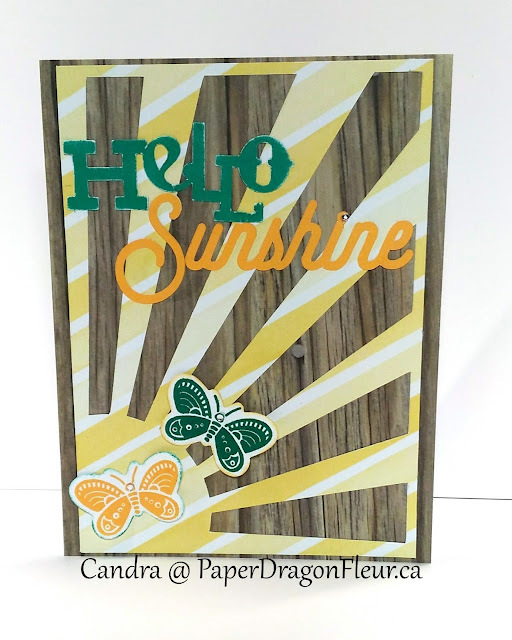 This weeks sketch from Atlantic Hearts proved to be a bit of a challenge for me and my card underwent several changes before I was somewhat satisfied. I think it is the decorative element "all in a row" which is usually not an issue but for some reason, I was just not happy with my choices this week. 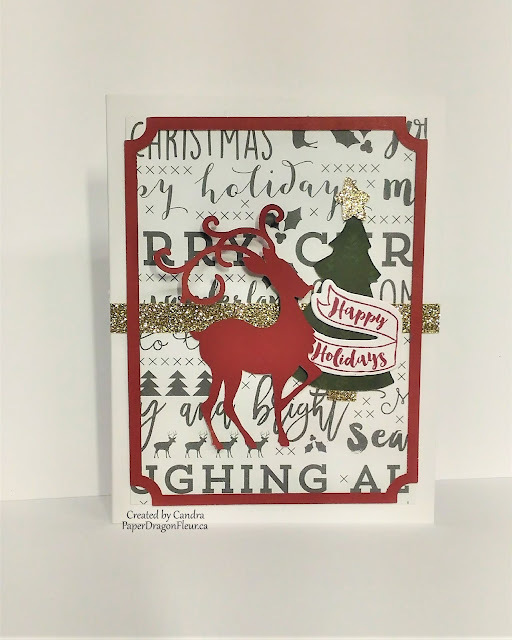 As I am working on my big annual Christmas Card workshop I wanted to stick with the Christmas theme and used some of the new Silver & Gold paper from Close To My Heart. 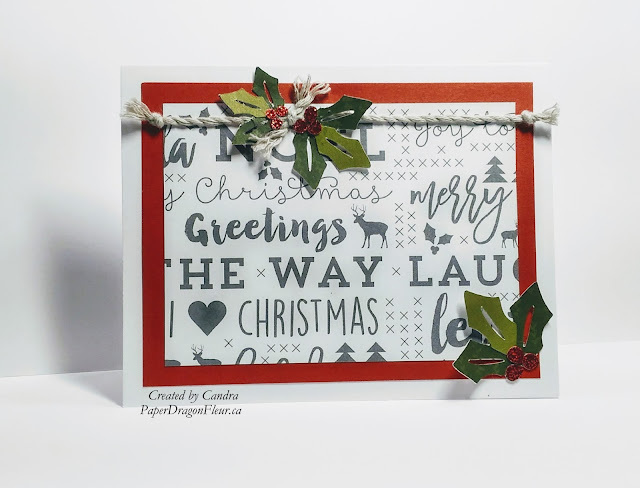 I paired it with Cranberry Cardstock and the holly is made from the Beary Christmas paper and Fern Cardstock, Red Glitter paper for the berries and Whisper Thick Twine for added dimension and texture. 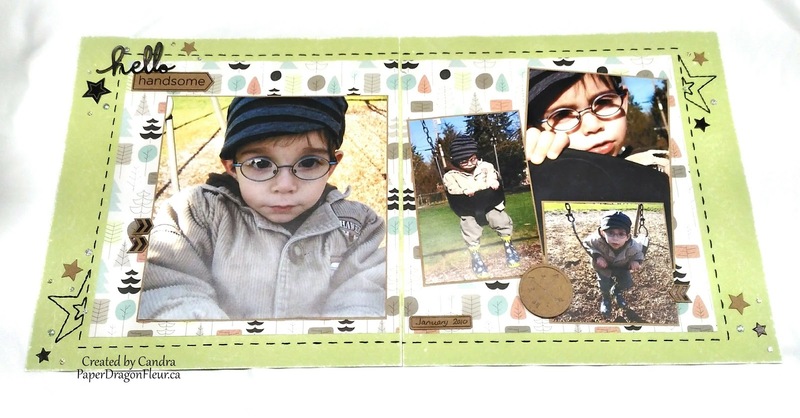 The Cricut cut is from the City Sidewalks Digital Collection (retired). Hello, my friends! My apologies for being a little MIA the past several weeks but when you have too much going on something always falls through the cracks! BUT school is back in which means way more crafting time for me! 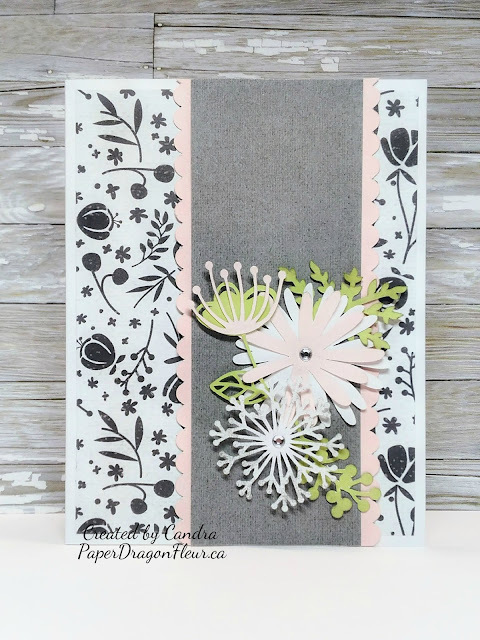 This weeks sketch from Atlantic Hearts is up and I decided to play with a little more of the Jack Paper Collection, it recently retired and that is a real shame because I love these papers! 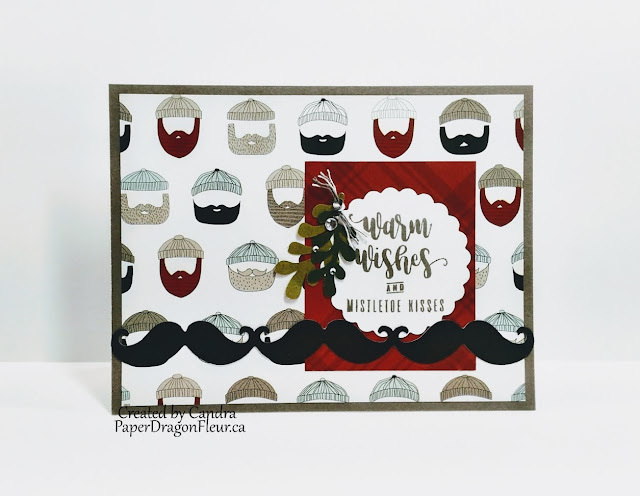 I am working on my annual Christmas Card workshops and decided to have a little fun with the bearded man papers... I give you "Warm Wishes and Mistletoe Kisses". 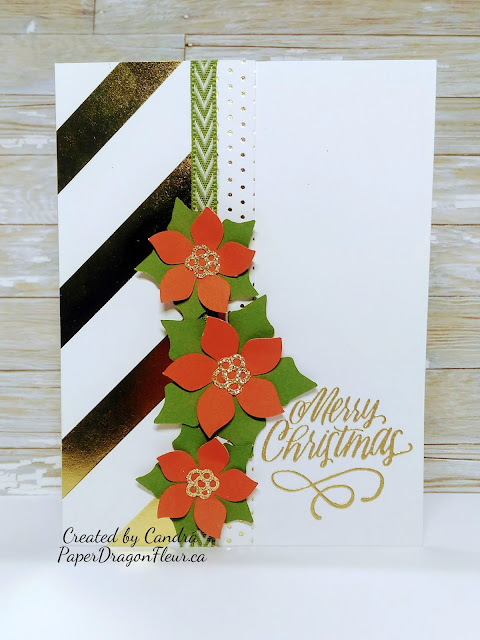 Recently I had a Facebook conversation with a lovely lady about card making, etc. 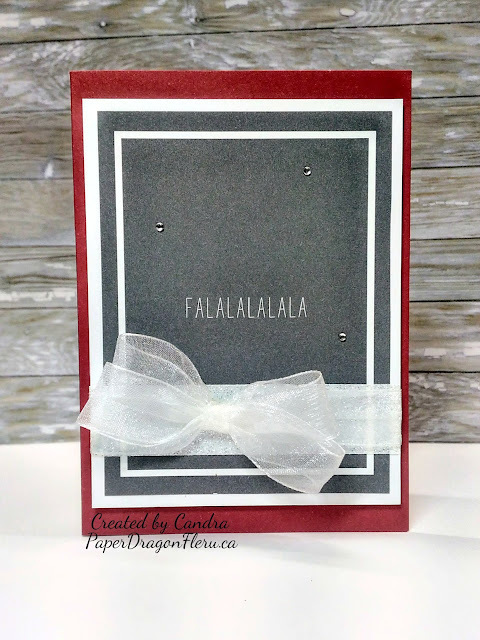 and we were discussing Christmas cards... my response was "it's never to early to start creating Christmas cards!" and in celebration of that fact I present to you my first Christmas Card for 2017. 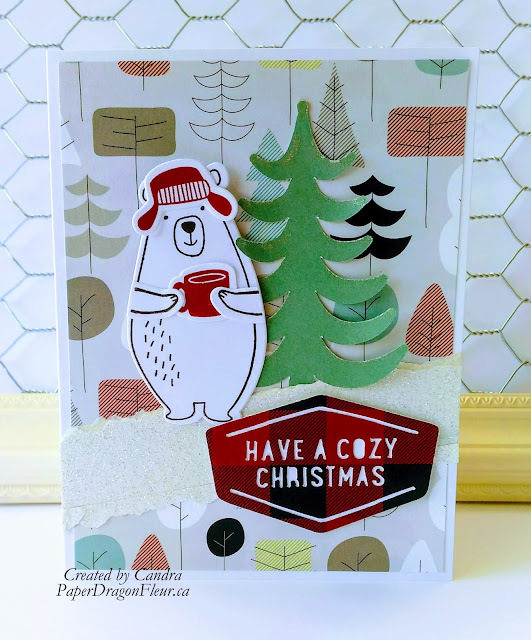 I actually got the idea for this card way back in March when I got my first sneak peak of the Jack Paper Collection and then I saw the bear in the Jack - Cardmaking Stamp and Thin Cuts. This weeks sketch from Atlantic Hearts seems to be the perfect time to make my idea into reality. While I used the design for inspiration you can see that the design change slightly to accommodate my elements. 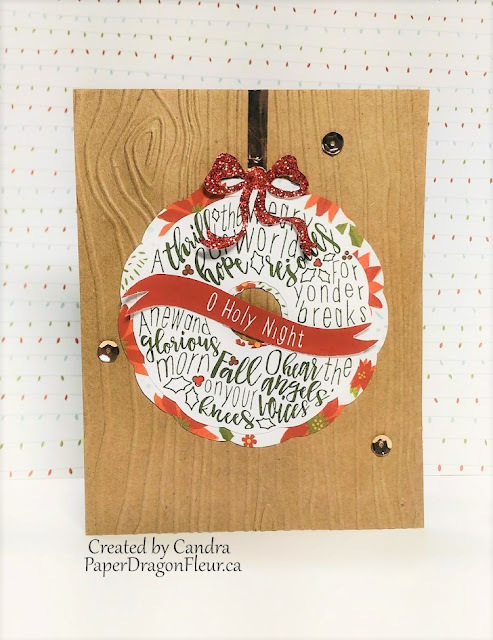 I initially was going to have the Bear and tree on a background square like the sketch but it made it too heavy and distracted the eye, so instead I made my angled cross piece heavier and used White Glitter Paper to create some snow. A heat wave has hit BC and it's hitting the little valley I live in hard! Just came in from running an errand and the car said 36'C and it was parked in the shade! And we have the added bonus of hazy skies from all the smoke that has drifted our way from the fires in the interior. Hopefully, this wave only lasts a few more days and we get back to the 29'C that is so much more manageable. Onto this weeks sketch from AHSC! 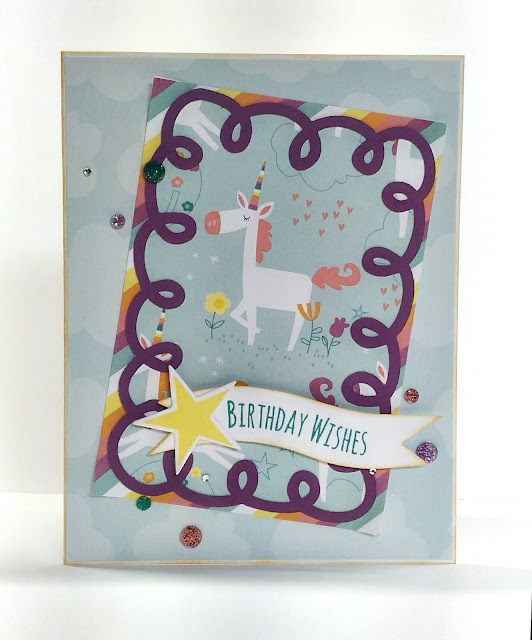 It is a classic and I decided to play with my last few pieces of Little Dreamer to make a quick, cute card for my birthday stash. My son has been doing a vision therapy program for the past several months and next week is his last session! He has come a long way and I wanted to make a special card for the therapist who has been so kind and patient with him. Granted I have a pretty great kid but still, an hour a week of one-on-one therapy with a very active 9-year-old has got to try anyone's patience! Cue this weeks Atlantic Hearts Sketch Challenge and I have the perfect inspiration for my Thank You card. 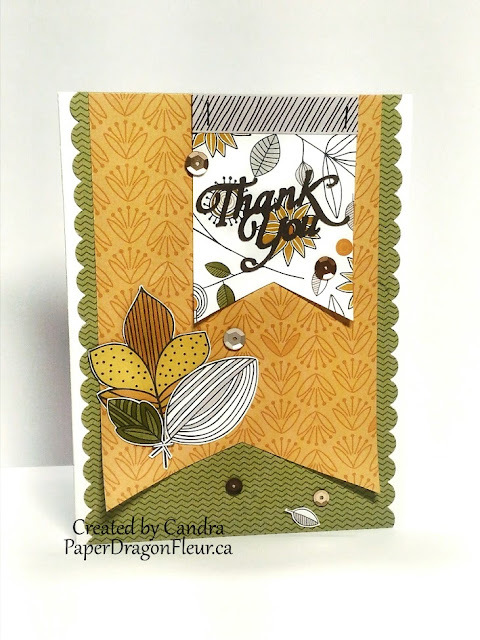 I decided to use the Prickly Pear Papers for their bright happy colours and paired it with Tangerine and Blossom Cardstock. 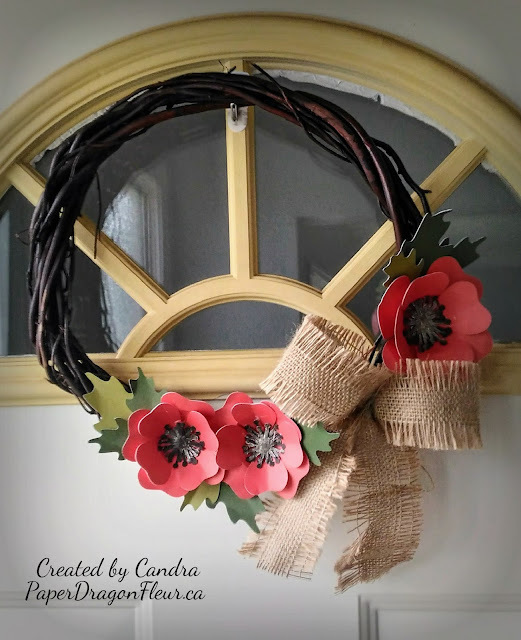 With all the Canada 150 celebrations, house guests, and lots of time spent outside I almost forgot about this weeks challenge from Atlantic Hearts! Thankfully it is a super cute and easy sketch. 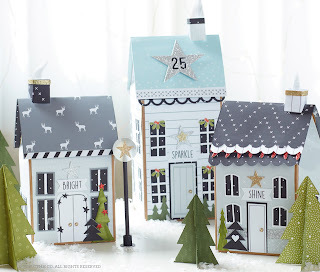 I created my banners from the Little Dreamer Paper Packet and mounted them on Lemon Cardstock. 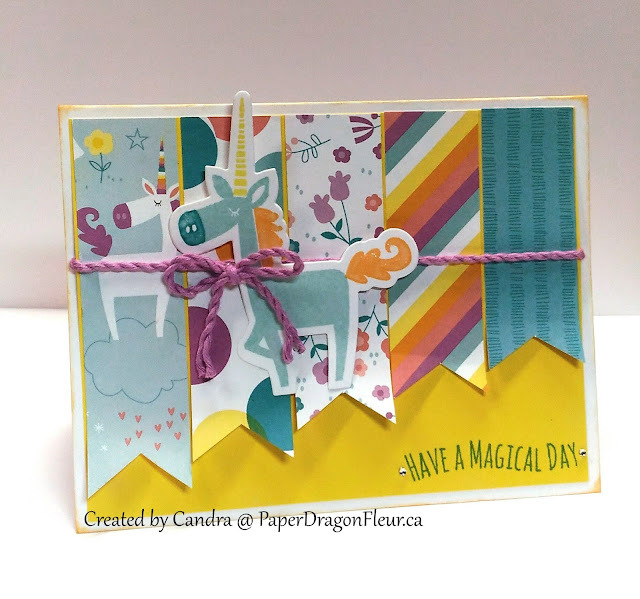 Using the Little Dreamer Cardmaking Stamp & Thin Cuts I quickly cut out my unicorn and stamped him in Glacier, Lagoon, Lemon, and Tangerine Inks. I did add a little of the Clear Shimmer Brush forgetting that it can change the ink colours slightly but it did add some shimmer! 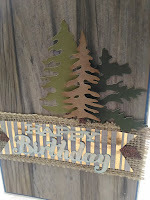 I stamped my sentiment in Lagoon and added some retired extra thick twine in Thistle to finish off my card. Like I said super cute and easy! Thank you for stopping by and I truly appreciate your comments. 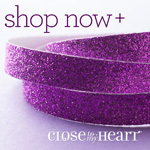 I hope I have inspired you to come play along with us at Atlantic Hearts! This month is just marching on and it seems to be doing double time! End of the school year for us is next week and we have been doing tons of activities (I love our little school) BUT it makes for a very busy schedule. For this week's sketch from Atlantic Hearts, I decided to flip the design and instead of using a variety of paper's I choose just one. 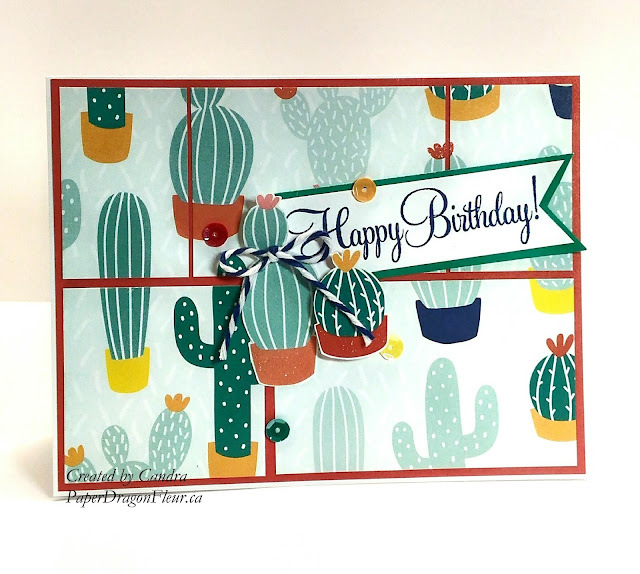 This super cute cactus paper is from the Prickly Pear Paper Collection and I used Poppy cardstock for my base. I felt in a fussy cut kind of mood and cut out the cacti that I used for my embellishment from the cactus paper. 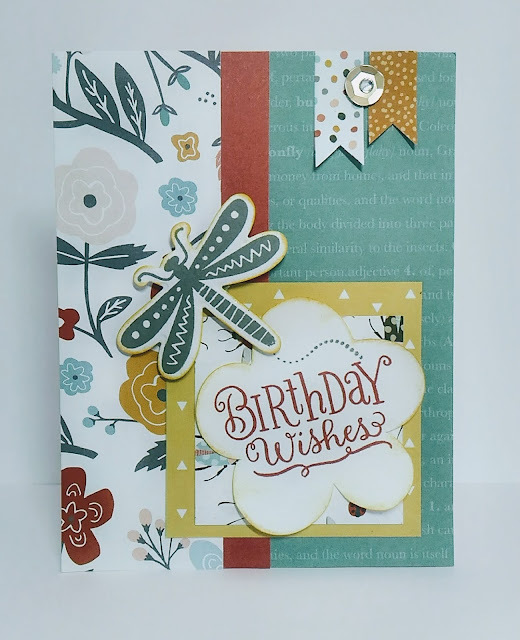 The Happy Birthday sentiment is from a retired stamp set called Card Chatter and I stamped it in Saphire Ink. I made the bow is from the baker's twine found in the Enchantment Ribbon Pack. I added some sparkle using the Clear Shimmer Brush and a few of the sequins from the Prickly Pear Collection. Quick and done! 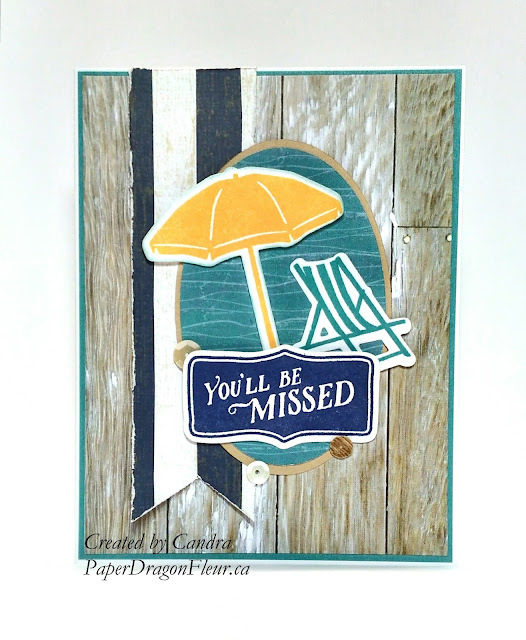 A classic sketch from AHSC this week and I felt it went perfectly with CTMH's No Worries paper packet. At my son's request, I had a very special card to make and this sketch helped me fill the order. The principal at his school is retiring at the end of the school year and the teachers and children are starting to say their goodbyes. This is a very loved and respected man and he will be greatly missed. My son is having a hard time with the thought that Mr. Selva will not be at the school next year. Change can be so hard for children and so we have been having lots of talks about it being okay to feel sad and yes, it is totally normal to be worried about missing him. Thankfully the new principal is the current vice-principal and he too is wonderful, so hopefully, a familiar face in the office next school year will help the kids like my son cope. So I tried to follow this weeks sketch from Atlantic Hearts, I really did, but kinda veered off a little but just a little bit. 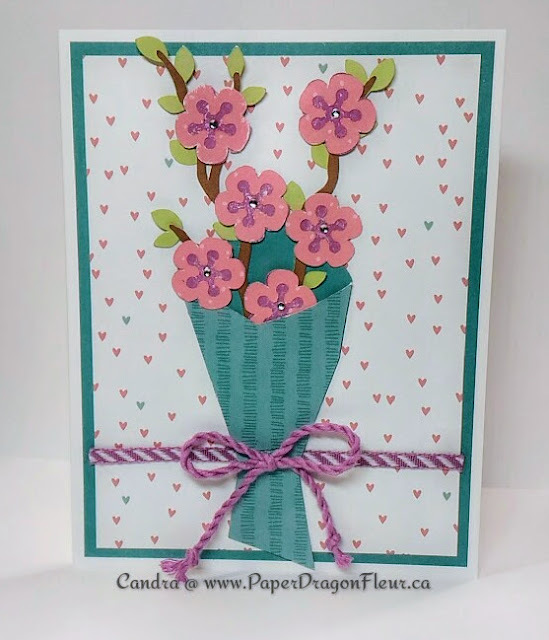 Wanting to keep this card clean and simple I decided to use the Cricut Flower Market Collection for my key elements. I debated adding more flowers and layers but decided to keep it simple as I didn't want to overwhelm the pretty heart paper. Other products I used for this card are the new Little Dreamer Paper Packet, lagoon, thistle, saddle and sweetleaf cardstocks, the blossom polka-dot paper from the Adventure Fundamentals (pink flowers), and from my stash a piece of thistle striped ribbon and a bow made from thistle extra thick twine. 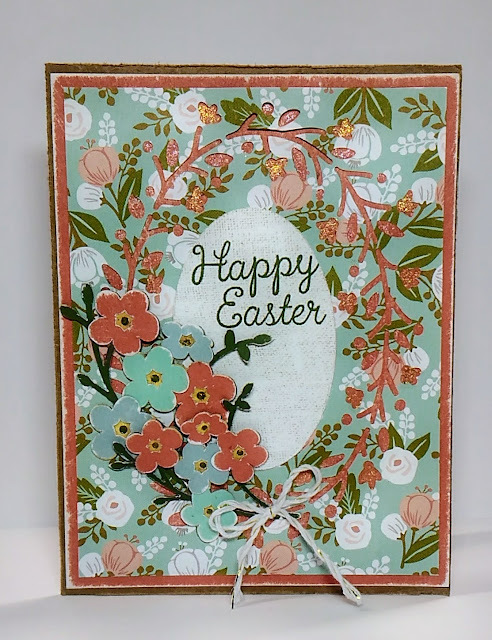 A few swipes of the Clear Shimmer Brush to my flower centers and a few Bitty Sparkles and my card is complete. 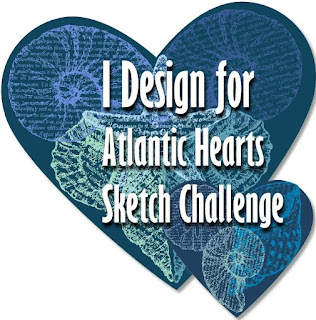 Thank you for stopping by I truly appreciate your comments and hope that I have inspired you to come play along with us at Atlantic Hearts Sketch Challenge. Last week I was asked to make a special Birthday card and it needed to be "masculine"! Looking through my paper options I picked out the Rustic Home Fundamentals Collection that is found in CTMH's current Annual Inspirations. 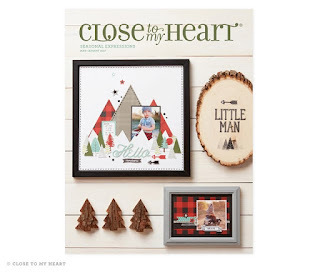 When this catalog came out last summer and I initially saw the changes from the normal "paper packets" to the "Fundamental Creative Collections" I wasn't sure about them. 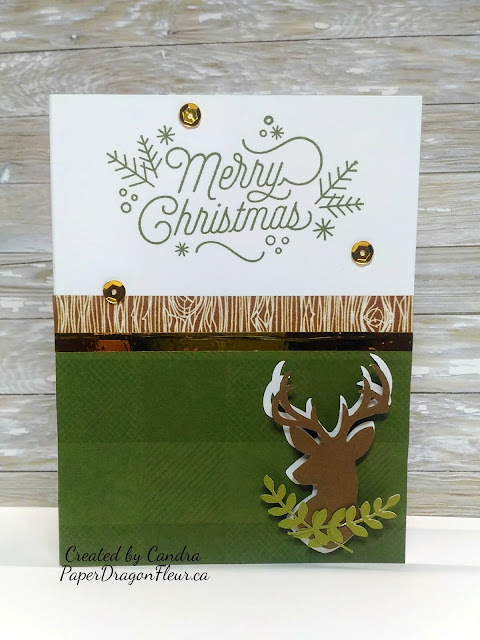 But, of course, I have been pleasantly surprised by how versatile these collections are and because they are created around our four exclusive colour palettes they work beautiful with all of our paper collections both past and present. I love having the option to mix things up and add layers to my projects that I just won't have thought or been able to do in the past! Using this weeks sketch as inspiration for AHSC, I decided to create this (hopefully) masculine 5x7 card.